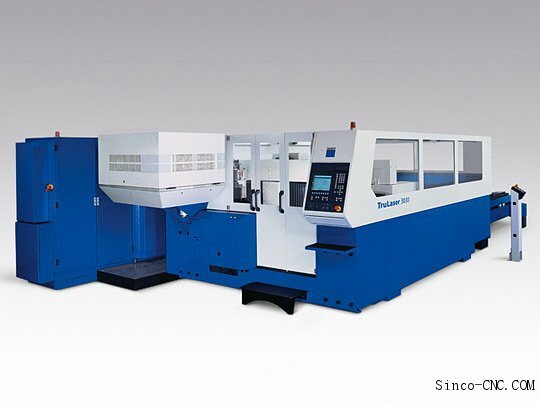 In Sheet Metal Business, three types of lasers machines used in sheet metal laser cutting. The CO2 laser is precise cutting, boring, and engraving. The neodymium and neodymium yttrium-aluminum-garnet lasers are identical in style and differ only in application. Nd is used for boring and where high energy but low repetitions are required. The Nd-YAG laser is used where very high power is needed and for boring and engraving. Both CO2 and Nd/ Nd-YAG lasers can be used for welding. Advantages of laser cutting over mechanical cutting include easier work holding and reduced contamination of work piece. Precision may be better since the laser beam doesn’t wear during the process. There is also a reduced chance of warping the material that is being cut, as laser systems have a small heat-affected zone. Some materials are also very difficult or impossible to cut by more traditional means. A disadvantage of laser cutting is the high energy required.